CHVRCHES new video for "Empty Threats" is filled with vintage, sun-kissed flares that reminds you of the carefree summers just hanging out with friends. 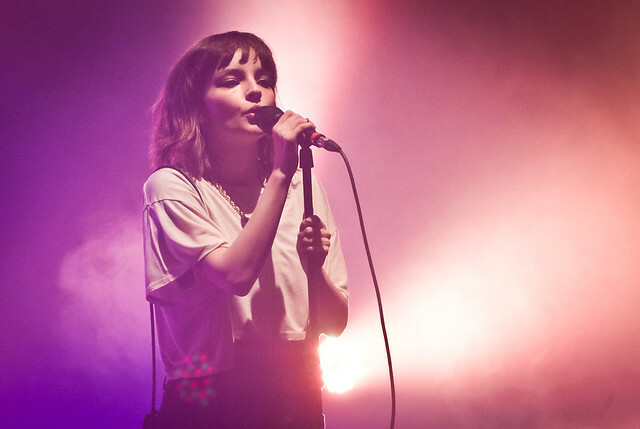 Opening with a younger, underage Lauren Mayberry look-alike, we follow her as she buys booze with a fake ID. Then, meeting up with her Goth friends, we assume that they're up to no good but the only mayhem they'll be doing is at a wter park. "Empty Threats" spotlights being young and not regretting the decisions you make. "Empty Threats is t aken from the new album ‘Every Open Eye’ which dropped in September.